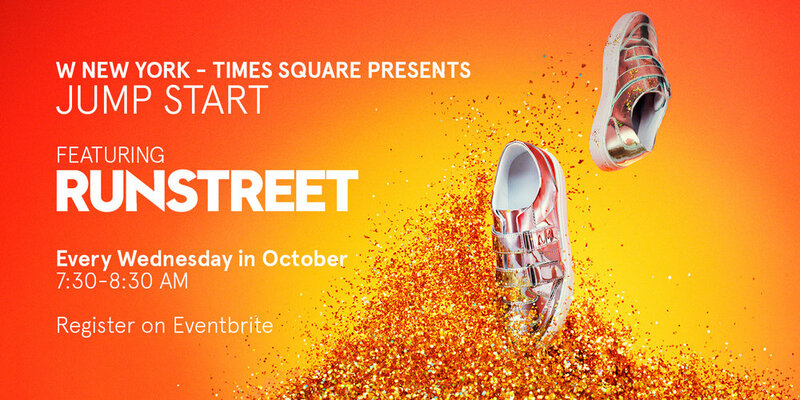 In the lead up to the NYC Marathon, the W New York – Times Square will be offering leisurely guided art runs with Runstreet every Wednesday morning starting at 7:30am. The founder, Marnie, will be guiding every excursion. Marnie created Runstreet Art Runs as a way to encourage runners of all levels to explore the beauty around them and learn about local art and artists. Departing from the hotel, the guided small group 5K runs will explore the neighborhood’s top street art installations. Each run is a relaxed, 10-minute-mile paced run with stops for photos at murals along the way.